An increasing number of pharmaceuticals in human and veterinary medicine are being developed using advanced genetic and other methods that focus on modification of somatic and embryonic cells. These methods, in the setting of drug manufacture, call for new processes that go beyond the traditional unit processes of chemical and biological production, such as batch submerged culture. This book is the first to describe in detail these advanced biological processes and show how they are applied to the production of biopharmaceuticals, from product generation and purification to fill-finish operations. The work explains how technologies developed in the last decade function similarly to unit operations for producing advanced biopharmaceuticals, such as hormones, cytokines, therapeutic enzymes, modified proteins, and transgenic products - to name a few. From large-scale animal cell bioreactors to patient-customized products, this volume describes the effects of new technologies on biopharmaceutical processes and guides users on how to apply new technologies in process development. Chapter 1: Overview of the Biopharmaceutical Industry. Chapter 2: Regulatory Requirements for Processing Biopharmaceuticals. Chapter 3: Genomics, Proteomics, and Metabolomics – Impact on Biopharmaceutical Processing. Chapter 4: New Technologies in Biopharmaceutical Upstream Processing. Chapter 5: New Technologies in Biopharmaceutical Downstream Processing. Chapter 6: Biopharmaceutical Product Formulation, Preservation, and Presentation. Chapter 7: Biopharmaceutical Product and Process Monitoring, Analysis and Control. Chapter 8: Discrete Automation in BioProcessing Unit Operations. Chapter 9: Emerging Biopharmaceutical Platforms. 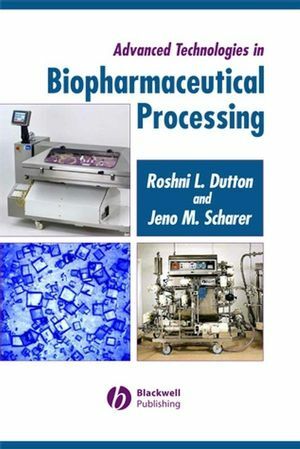 "This book provides an anthology of information in essentially all areas of bioprocessing...(and it) provides essential information on proven techniques that can make the evolutionary art form of biologic manufacturing more manageable...I know you will enjoy this book and find its information to be highly valuable for your work. Whether you are a beginner in this field or a seasoned veteran, this text will give you the reference material you need to successfully develop and produce biologics, while satisfying regulatory requirements."